Cancun and the Riviera Maya are very popular family vacation spots. With plenty of resorts to choose from, there’s a good fit for nearly everyone. But room sizes in Mexico and the Caribbean don’t always accommodate bigger families. Here’s a secret: you don’t have to book two rooms! There are resorts out there with plenty of space for everyone. This week, I’ve compiled a list of the region’s best resorts for families of five or more! This resort takes family fun to a whole new level. It is home to the newest and largest dolphinarium in the Riveria Maya, so kids can interact with dolphins and manatees. (There’s an extra charge for those activities.) The resort’s family focus extends to its rooms, too. Its Deluxe Family Suites come in both garden view and ocean view categories, and can fit up to six people. The rooms have two double beds and a sofa bed. While Dreams Puerto Aventuras may have the newest dolphinarium, it’s not the only one in the area. 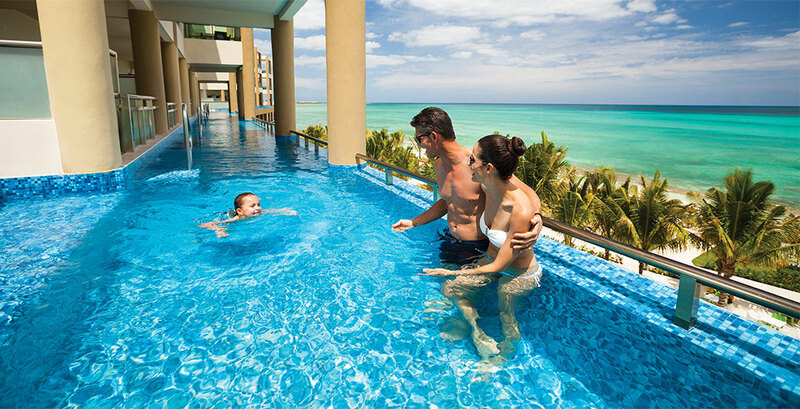 Children can also swim with dolphins (for an extra charge) at the Barceló Maya Grand. The resort has a kid’s club for ages 4-12, and a disco just for teens. 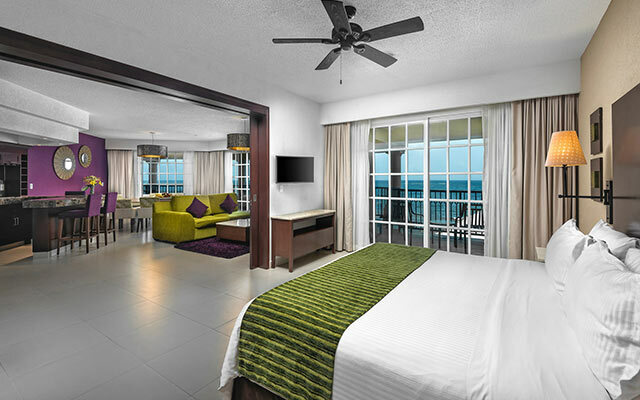 Families can opt for two connecting rooms with a king bed on one side and two double beds on the other, or go with the Family Suite with a king bed and three day beds. 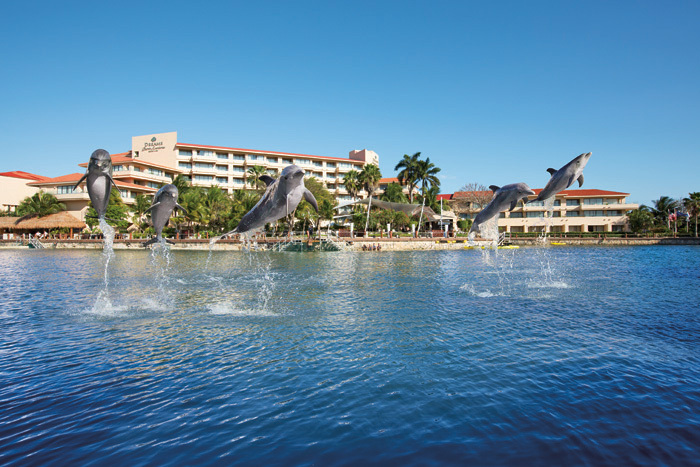 This resort focuses on giving families plenty of options during their stay. 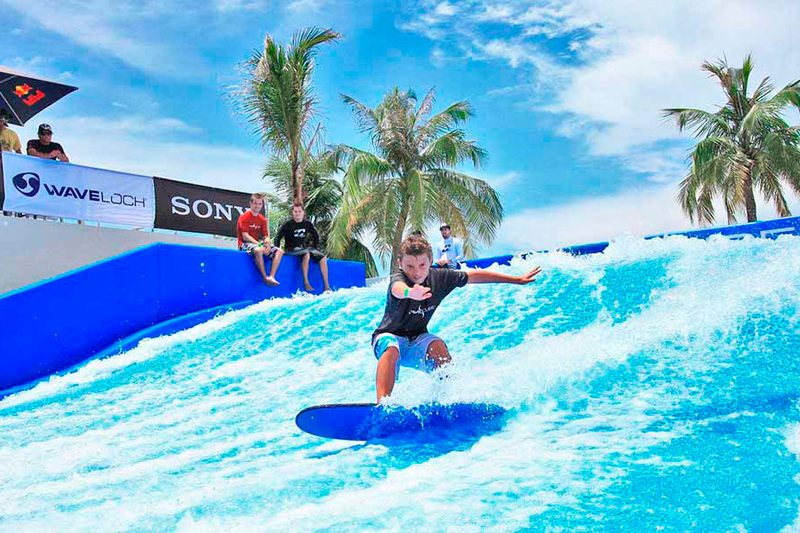 It offers all kinds of activities to keep the kids busy – from boogie boarding to snorkeling. But it also gives adults space to get away, whether at the spa or the adults-only Mediterranean day lounge. Its family room categories start at capacity for five people, and its 3-bedroom suites can fit eight.  Thinking about heading to a different part of Mexico? The El Cid resorts in Mazatlan also offer many fun activities and sizeable rooms. I had the opportunity to visit Generations this past December during a work trip, and as the name suggests, it’s the perfect spot for multi-generational travel. Bring along Grandma and Grandpa, too! The Eko Kids Club helps keep children entertained, and the 18 and older family members can visit the adults-only El Dorado Royale and El Dorado Casitas next door. All of the resort’s family-sized suites come with a Jacuzzi, and the plush robes in the rooms come in all sizes – the tiniest ones fit infants. If you’re looking for luxury, the suites include butler service for assistance with everything from in-room check-in to making dinner reservations at the adjoining adults-only resorts. The 3-bedroom suites have enough room for a family of 12. 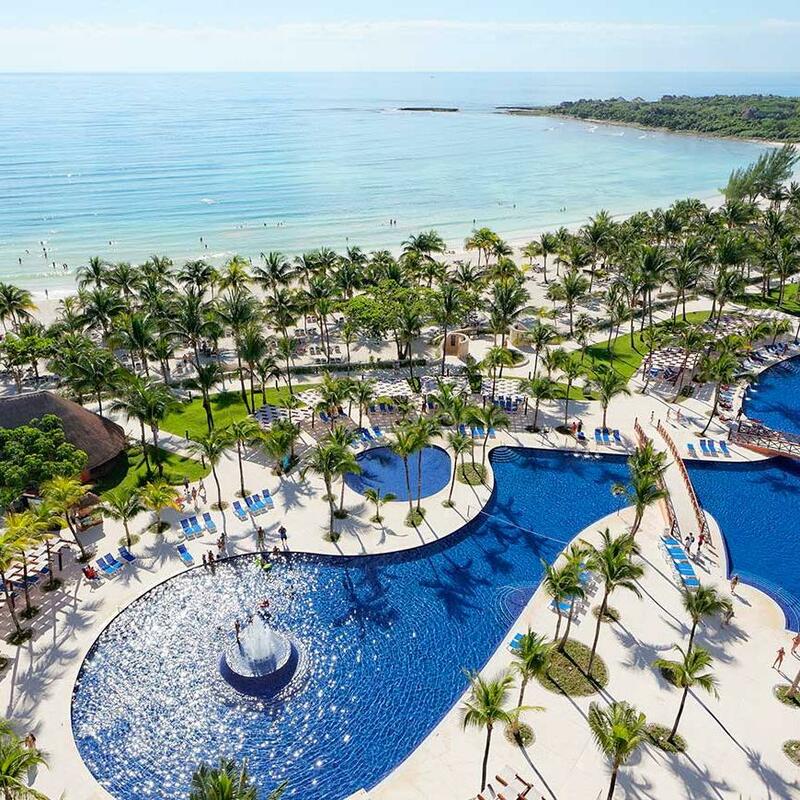 Just 10 minutes away from the Cancun airport, the Moon Palace Cancun boasts its own golf course; mini-golf; basketball, tennis and volleyball courts; nightly entertainment, two kiddie pools (one with a waterpark); and a new wave simulator where kids can body board and surf. There’s no risk of running out of things to do! And its Family Deluxe rooms, which are equipped with Jacuzzis, come with a king bed and two double beds and enough room for a family of six.